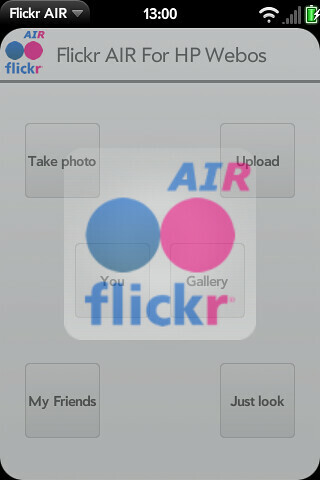 Flickr AIR on Flickr - Application Sharing! This app make you taking photos and share them to Flickr easily. It also provides many interesting photos from Flickr. You can see your photo stream and your friends'. Any good and bad feedbacks are always welcome. any issue or suggestion please send email to ceflash@gmail.com. Thanks. 1. next and previous button in detail page. This free version's goal is providing a simple way for sharing photos to flickr to benefit the start users. If you use flickr a lot, you must need the PRO version which provides more powerful features than the free version. Why can I see this app?